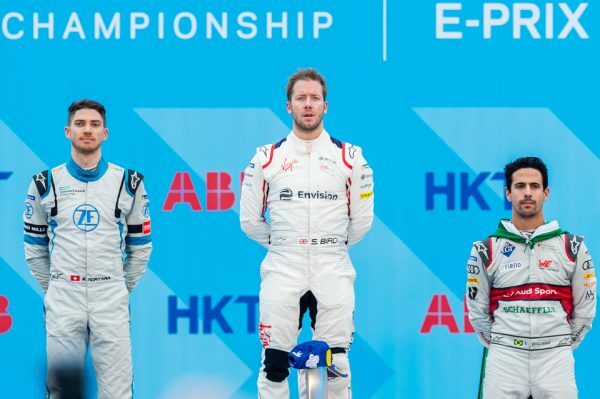 HONG KONG—Sam Bird of Envision Virgin Racing made a robust move with just one lap remaining of the Hong Kong leg of the Formula E series to overtake Techeetah’s Andre Lotterer, and pass the winning line first in the Hong Kong Leg of the Formula E 2018-19 Series. The two drivers had been locked in a close battle for most of the race and Bird had tried a few times to pass, but was denied each time, but on the final occasion Bird successfully passed Lotterer during which contact took place. Shortly afterwards Lotterer suffered a rear tire blowout causing him to drop down the order. At the end of the race there was a protest lodged against Bird. After due consideration, Stewards placed a five second penalty on Bird for causing the crash, demoting him to sixth place and leaving Mortara of Venturi team the winner. 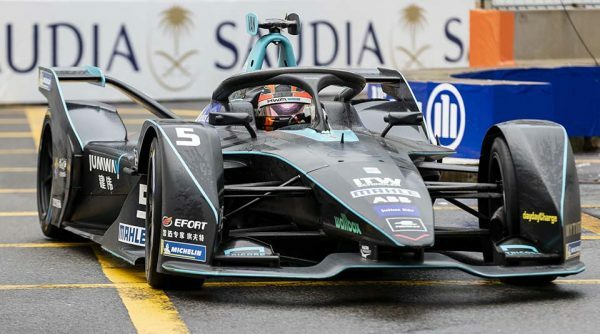 Earlier in the day, Stoffel Vandoorne of HWA Racelab finished practice on pole with Nissan e dams rookie Oliver Rowland second, Edoardo Mortara third and Techeetah’s Andre Lotterer Fourth. But Lotterer was moved up to third on the starting grid after Venturi’s Edoardo Mortara received a grid penalty. There was sporadic rain, sometimes heavy, during the qualifiers on Saturday and Sunday mornings, slowing the drivers. Pole position was secured in 1:11.580 some 9 seconds off the lap record. In the race, a crash by Massa on the second lap created a blockage, stopping Vandoorne and some other vehicles from passing. The Race was stopped with a restart after a 10 minute break. The track order at the restart was Rolland followed by Bird and Vandoone. 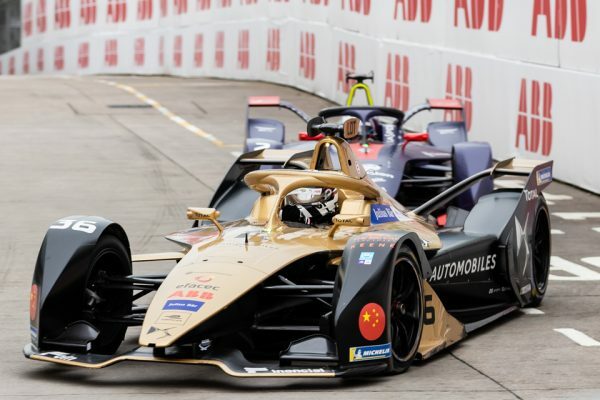 After the restart Lotterer (DS Techeetah) gained a place up to third, and shortly afterwards Rowland lost power dropping down the order into tenth place. Lotterer seemed to be flying and overtook Bird for first place. Lotterer and Bird pulled away and opened up a seven second gap with Bird putting continual pressure on Lotterer. With 13 minutes plus one lap to go the safety car came out to allow debris to be removed from the track. The cars all closed up but after the restart the two leaders soon reopened a gap. The safety car was again deployed with 2 minutes plus one lap to the finish, to remove Jerome d’Ambrosio’s Mahindra car that was stationery on the track. It was soon after racing resumed that Bird overtook Lotterer securing a line win for Bird with Mortara second and Di Grassi third. 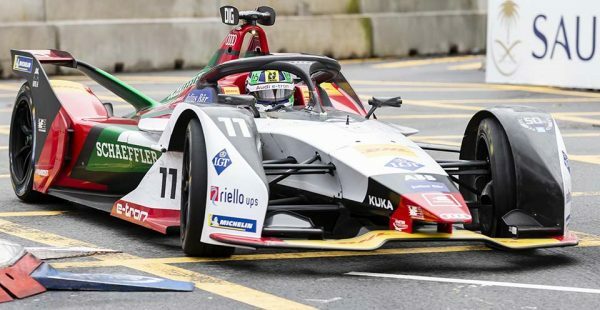 After the stewards ruling Bird was demoted to sixth place while advancing Mortara as winner, Lucas di Grassi second and Robin Frijns of Envision Virgin Racing third. 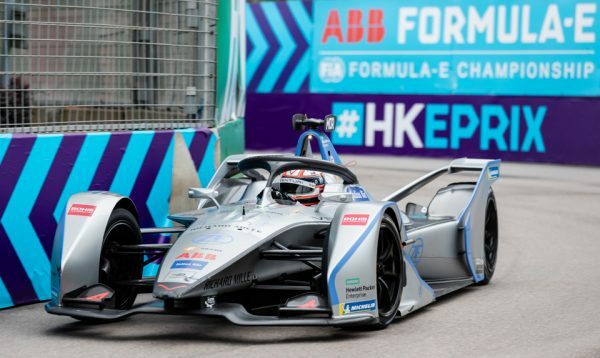 The Hong Kong race was the fiftieth ePrix or all time and fifth in the 2018-19 season of thirteen races. Races had already taken place in Saudi Arabia, Morocco, Chile and Mexico resulting in Jerome d’Ambrosio driving a Mahindra Racing car logging 53 points to head the driver’s Championship. 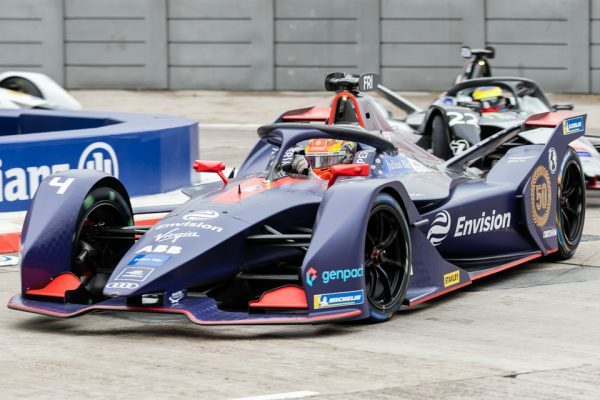 Antonio Felix da Costa of BMW Andretti was lying second with 46 points and Sam Bird of Envision Virgin Racing was one point behind, third. 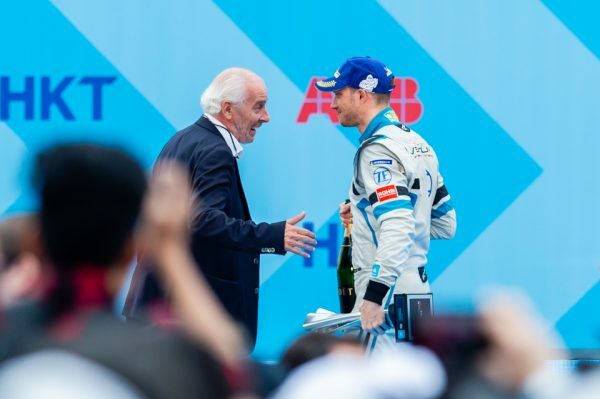 After Hong Kong, the Drivers’ Championship shows Sam Bird is now just one point ahead of Jerome d’Ambrosio (53) with Lucas di Grassi on 52 points, and Edoardo Mortara is fourth also on 52 points. 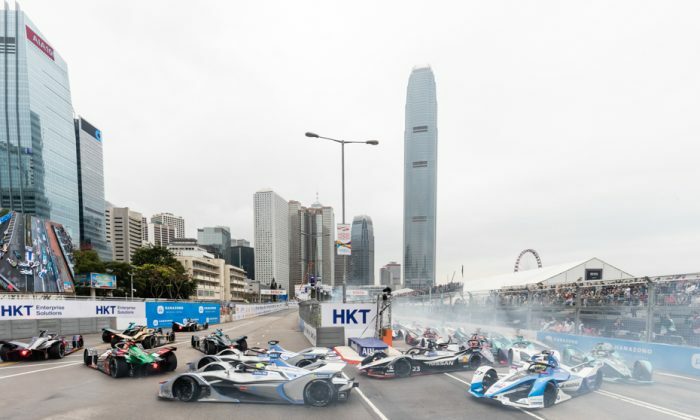 The Championship now moves to Sanya (March 23); Rome (April 13); Paris (April 27); Monaco (May 11); Morocco (May 25); Berlin (May 25) and two races in New York on July 13 and 14.